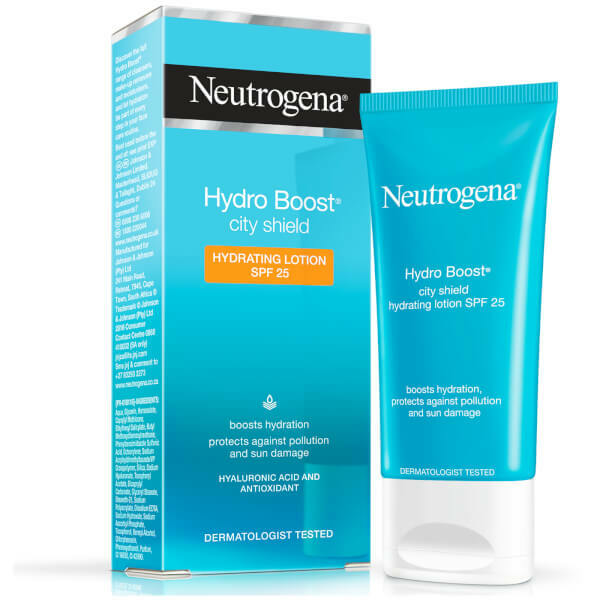 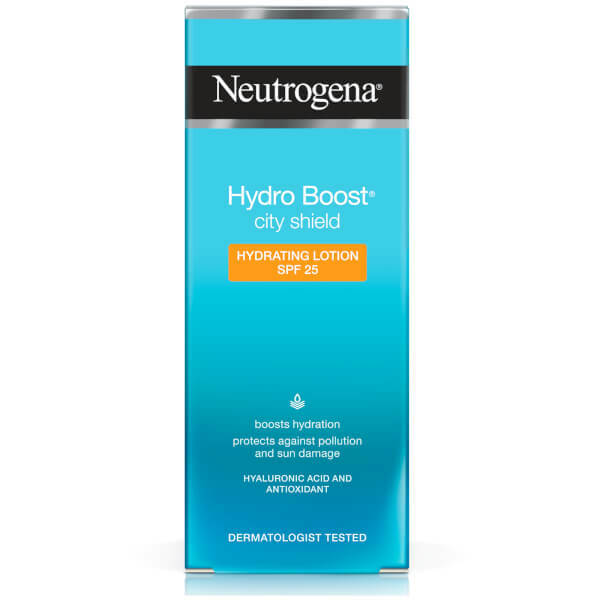 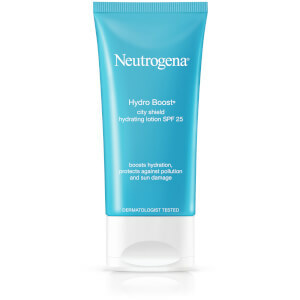 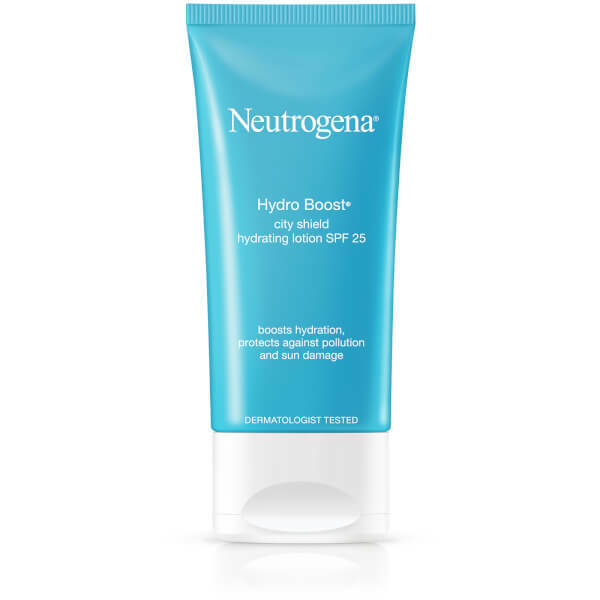 Experience refreshing hydration with Neutrogena Hydro Boost City Shield SPF Moisturiser, an oil-free, water-gel moisturiser that intensively replenishes skin whilst providing broad spectrum SPF 25 sun protection. 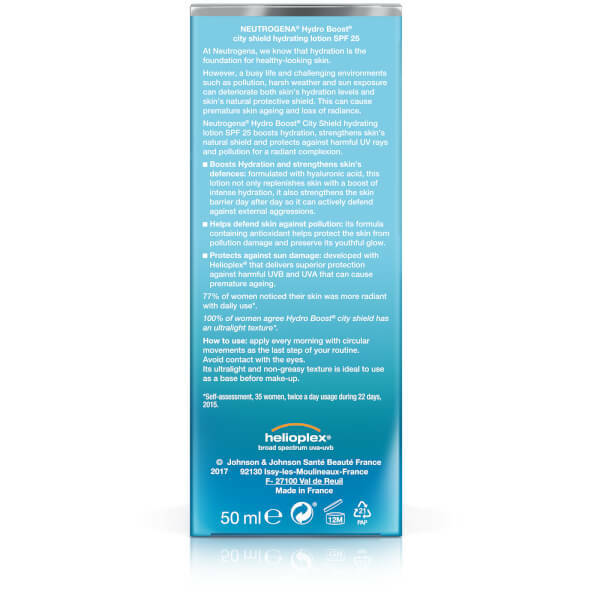 Apply every morning with circular movements as the last step of your routine. 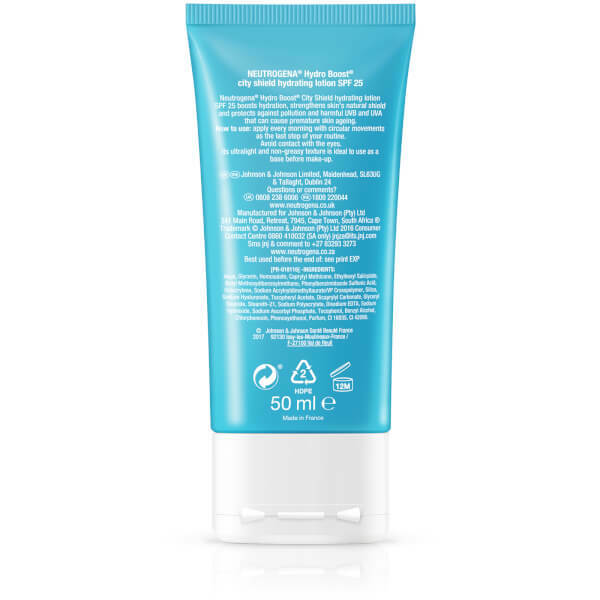 Its ultra-light and non-greasy texture is ideal to use as a base before makeup.